Why Do Penguins Wear Tuxedos? Penguins. The birds that wear tuxedos and star in major motion pictures. People call them “flightless birds” but they do in fact fly; They just do it underwater. They are almost totally restricted to the southern hemisphere (but some live very close to the equator). They eat only seafood, including fish, squid, krill and other organisms. There are 17 living species of penguins, which make up their own Linnean family (Spheniscidae), which is the only family in the order Sphenisciformes. You may think of penguins as cold-adapted and they are, but there are penguins living in temperate and tropical areas as well. They range in size from the tiny Fairy Penguin (Eudyptula minor) at about 1 kg to the very large Emperor Penguin Aptenodytes forsteri at about 35 kg (that would be a reasonably large dog). The evolution of the living penguins is one of the best known cases among birds, or even vertebrates in general, mainly through the study of DNA, bio-geography, and anatomy. 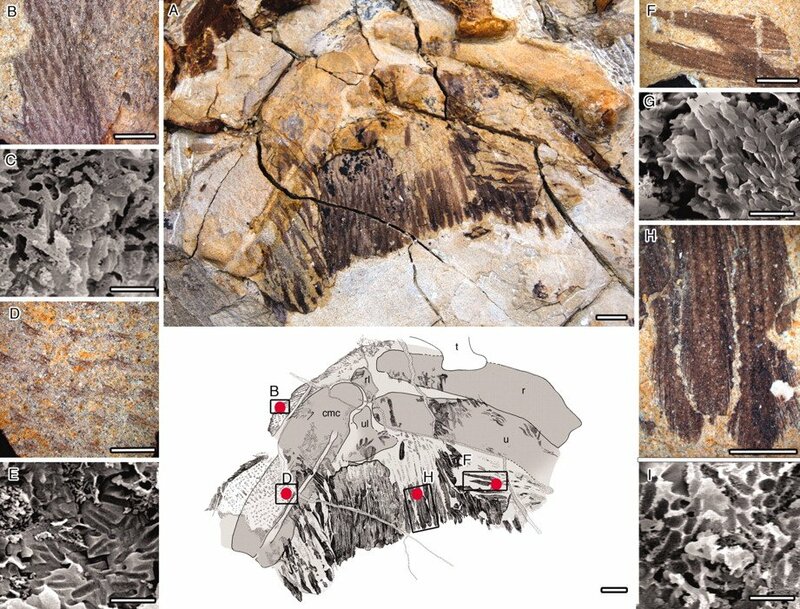 For fossils, the picture is less clear, but increasingly well understood. Since all penguins have certain characteristics in common, it is interesting to contemplate which of those features arose first, in the earliest penguins, and which arose later. Penguins are flightless, but some species locomote over long distances on antarctic ice to travel between breeding grounds and the sea. They have special adaptations to stay warm and to keep their eggs and chicks warm. They are excellent underwater swimmers, can capture prey with their well-adapted beaks, and can hold their breath for very long periods of time. And, they wear tuxedos, which seem to provide camouflage while they are swimming, where leopard seals, sharks, and other creatures would like to make a meal of them. When we see a modern species with a handful of interesting traits that were shaped by natural selection, it is sometimes tempting to guess that all of these traits evolved together, hand in hand. For example, it was once thought that humans, which have large brains, walk upright, and use tools, obtained all three of these traits (starting with a chimpanzee-like ancestor) a all at once, each emerging bit by bit over long periods of time and sort of pulling each other along, as selection for each trait was increased because of the presence of the other trait (free hands allows for using tools, which selects for a larger brain, etc). However, we now know that human ancestors became upright first, and were bipedal for millions of years before they started to use tools extensively, and then another million years went by before their brains started to evolve a significantly larger size. This separation of different traits into individual and separate histories, each with its own selective environment, is now known as “mosaic evolution” in reference to a mosaic showing a coherent picture, but made of many individual separate tiles. So, which came first, the underwater flight, the ability to hunt fish, the exceptional ability to live in the cold, or the tuxedo-camouflage? And in what order did the other traits emerge, or, because this is still a possibility, did any of them emerge together, co-evolving bit by bit, over time? One part of this question can be answered with some very interesting recent research. Fossils of a giant extinct penguin, Inkayacu paracasensis were found a while back in Peru. The fossils were very well preserved and included feathers. At first glance, the feathers seem to be very penguin-like in that the overall distribution, size, and shape of the feathers is like modern Penguins, and more importantly, like Penguins in the same ways that Penguins differ from other birds that don’t fly underwater. In other words, those ancient Penguins almost certainly swam underwater and given their other features, hunted there as well. These ancient penguins, dating to the late Eocene (about 36 million years ago) were different from modern penguins in a few ways … notably by being very very large … but seem to have been mostly penguin like. But they did not wear tuxedos. Bird feathers look like what they look like because of a combination of pigments (of which there are different kinds) and microscopic features of the feathers that reflect light in a certain way (called structural colors). Some of the coloring elements in bird feathers are melanosomes, which is an organelle containing melanin, produced in specialized cells called Melanocytes. In bird feathers, the color is partly determined by the size and shape of the melanosomes. Although fossil feathers do not retain the coloration that would have been visible in life, a microscopic examination of the size, shape, and distribution of melanosomes (and other aspects of the feathers) allows us to infer what the extinct animal would have looked like while still alive. Although fossil feathers are very rare, the living color of at least one feathered dinosaur and a number of extinct birds has been reconstructed from this technique. Modern Penguins have large and nearly round melanosomes, and this contributes significantly to their modern colors, but the Giant Peruvian Penguin seems to have had smaller and less round ones. To melanosome experts, this indicates that they were mostly brown where modern Penguins are white. Penguins had been around for some time when this ancient giant Penguin existed. It is almost certainly true, based on a combination of this research and knowledge of the likely phylogeny of Penguins, that black and white tuxedos evolved after the late Eocene, probably some time in the Miocene, which means that for millions of years Penguins did not look like their modern representatives. Why not? Did something change, causing natural selection for black and white camouflage to become important relatively late in Penguin evolution? At present there may be three reasonable hypotheses to explain this. One is that the circumstances for a trait to emerge do not automatically cause it to happen, and by chance Penguins never underwent this particular Darwinian process until much later in their history. This seems unlikely because the changes in melanosome form and shape seems fairly ‘easy’ as indicated by the great diversity of this pigmentation today, and there were millions of years of time for this adaptation to arise. Another possibility is that the changes in melanosomes are not about color at all, but rather, about how the feathers work in relation to the dynamics of swimming. The third idea, which is the most interesting and possibly the most likely, is that the effectiveness of the modern Penguin form of coloration, as camouflage, relates mainly to the increased abilities of highly effective mammalian predators (seals and whales) which evolved later in Penguin history, after the giant but brown Penguin fossils were left behind in Peru. From the original article: The wing feathering of Inkayacu paracasensis. (A) Photograph and line drawing of the left wing (scale bar, 1 cm) showing location of insets and samples (circles) taken for scanning electron microscopy (SEM). (B) Close-up of the counterpart showing the surface of imbricated short covert feathers from the leading edge of the wing and (C) SEM of melanosomes in (B). (D) Close-up of the counterpart to the surface of the carpometacarpus with preserved melanized bases of covert feathers and (E) SEM of melanosomes from feather bases in (D) (melanosomes were not observed in surrounding matrix). (F) Close-up of tertiaries and (G) SEM of melanosomes in (F). (H) Secondaries and (I) SEM of melanosomes from (H). Scale bar for SEM images, 1 ?m, and for insets, 3 mm. mc, carpometacarpus; r, radius; rl, radiale; t, tibiotarsus; u, ulna; ul, ulnare. Drawing is from El Penseive de Dinorider. Teachers! I know you love to use Penguins in your classroom to illustrate all sorts of important points. If you’d like a two page (one sheet, duplex) handout for your class, download THIS PDF FILE. Greg Laden has been watching birds since they were still dinosaurs, but has remained the consummate amateur. This is probably because he needs better binoculars. Based in the Twin Cities, Minnesota, Greg is a biological anthropologist and Africanist, who writes and teaches about Evolution, especially of humans. He also blogs at Scienceblogs.com. Greg's beat is Bird Evolutionary Biology. One could say that knowing the science of birds can make the birds more interesting. But really, knowing about the birds that go with the science is more likely to make the science more interesting. And thus, birding and Neo Darwinian Theory go hand in hand. Darwin was, after all, a pretty serious birder. Greg has seen a bird eat a monkey in the wild. I would love to see that reconstructed feathered dinosaur. Are there pics online? Nemo, I’ve added the pic from the original paper, with the full caption. Going to Ohio for the Midwest Birding Symposium. Wait, Ohio? Where Are You Birding This Third Weekend of September 2011? Do birds avoid predators because of culture?